Maya Erskine is headed to Hulu. Deadline reports the actress has joined season three of Casual. The half-hour dramedy stars Michaela Watkins and Tommy Dewey as two dysfunctional siblings. Tara Lynne Barr, Nyasha Hatendi, and Frances Conroy also star. 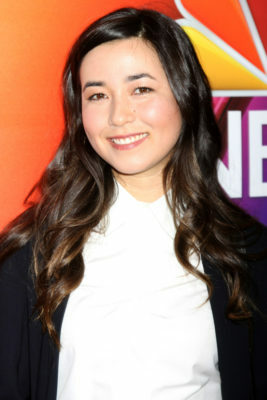 Erskine has been cast as “Rae, a young woman from New York, into FX makeup and magic, the latest Airbnb guest of Alex.” She joins fellow season three newcomers Judy Greer and Jamie Chung. Season three of Casual premieres on Hulu on May 23rd. What do you think? Have you seen Casual? Are you looking forward to season three?